Type form is great if you want to do a survey with your users or perhaps you're doing a campaign and want to make an extra special contact form. They look slick and they have a focus on UI/UX, much like SalesSeek. Once you've created a type form these are the steps you need to take to start catching leads in SalesSeek. Start by logging into your Typeform account, if you don't already have an account you can join here. You'll also need SalesSeek open in another tab, we will need to jump across to your account shortly. But first things first, select 'configure'. Once in the Configure window you'll see on the left, a navigation bar. Here you'll want to select 'Self notifications'. That will open an email template on the left. Focus your attention on the below field. Here, you'll need to copy and paste the email below to fill in the field. Ok, let's jump over to the SalesSeek tab and follow this next step. 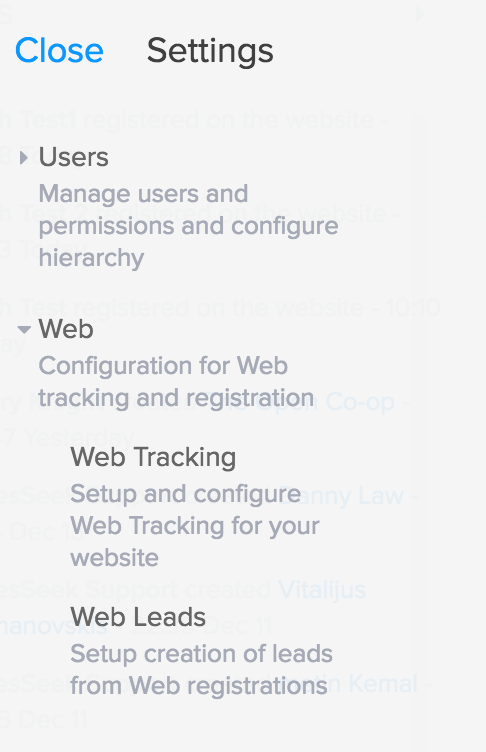 Select 'Web' and then 'Web Leads'. The next step is to identify, in SalesSeek, which of the fields you want to be mapped. The 'field names' are what you use to match a leads details from your Typeform. It creates a common language that allows each tool to speak to one another. Now you should be back in Typeform. The next step is to put the above 'Field Names' (from Salesseek) into the 'Message' section of the 'Configure' tab in Typeform. 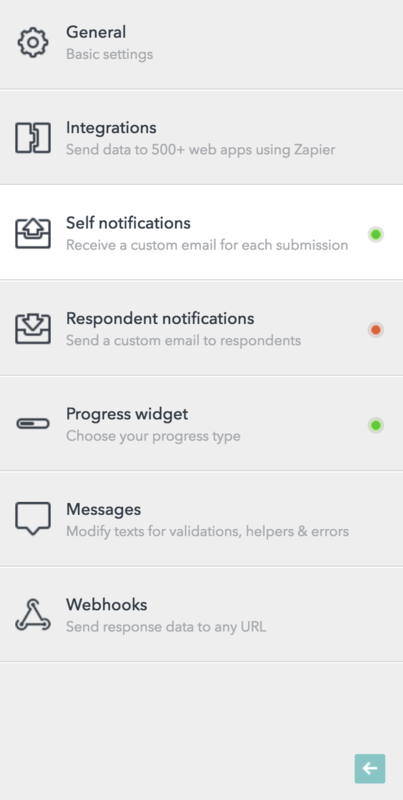 From the example about your message field would look like this. Following each Field Name (first_name, last_name) you need to add the variable which correlates. You can do this by selecting the drop down menu '+ Add variable' that sits along side the 'Message:' window. After this, just scroll down and hit 'Update Settings' then you'll be ready to go. When someone fills out your Typeform they will show up in the 'Leads' section of your SalesSeek account. If you're still stuck, don't hesitate to get in touch through chat. We will do our best to help you as efficiently as possible.